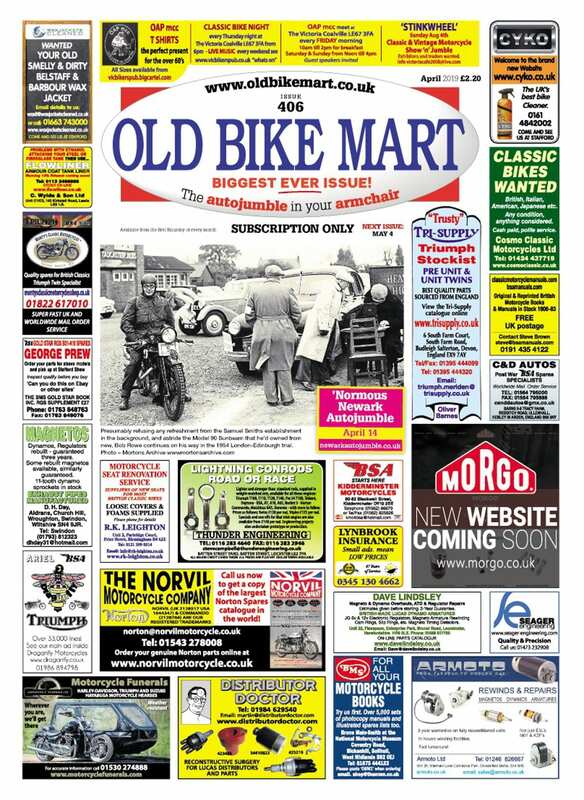 Old Bike Mart visits Classic Bike Shop in Redditch, where Mike Rogers, his wife Kerrie and son Archie are all part of the enthusiastic team continuing a long-established family tradition steeped in motorcycle dealing and bike jumbling – but in this internet age their business is sending quality-made spares for British motorcycles all over the world. 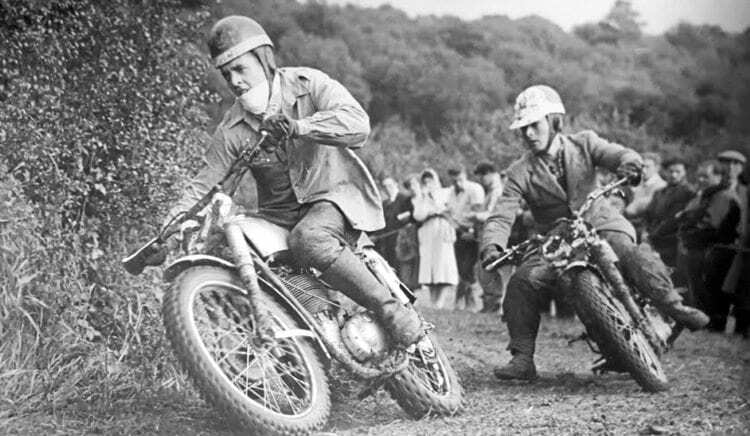 Mike Rogers’ father Curly was always keen on motorcycle sport, and is pictured here in a 1950 scramble. 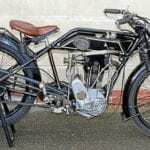 Between the ages of 18 and 28, including during his National Service, he raced BSA Gold Stars particularly at the Midland circuits, where he became quite a force to reckon with. 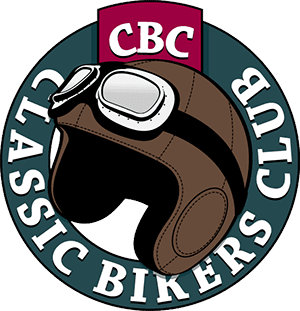 Mike Rogers has been trading over the internet for about 15 years now, but until June 2016, when Classic Bike Shop moved to its present spacious new premises on an industrial estate in Redditch, the British motorcycle parts business was conducted from a barn tucked away in the countryside. 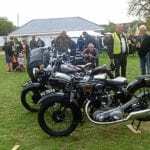 Mike’s father Curly and grandad Jack once both worked at the Royal Enfield factory that stood a stone’s throw from where they lived, and bikes have been in the family’s blood for decades. 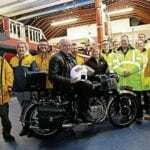 A competitive performer on the Midlands circuits from the age of 18, mainly riding the BSA Gold Stars that his own father prepared for him, Curly left RE when he was just 25 to set up his own motorcycle business, M J Rogers Motorcycles in Clive Road, Redditch, selling second-hand bikes and new Royal Enfields. 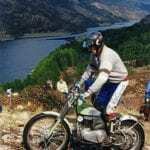 Before long his dad joined him, and they traded at that location until 1976, by which time they were dealing with Honda, Suzuki and Yamaha while still keeping old British bikes on the road. “People still tell me they bought their first bike off my dad,” said Mike, who well remembers the old premises from when he was just a young boy of about nine. When the Redditch New Town development came along, the shop was compulsorily purchased and Curly moved to a shop in Headless Cross, Redditch, finally selling the business to Knotts Motorcycles in 1984. As Mike grew up, there were always more bikes to jump on than many people get to ride in a lifetime – in fact he started at three-and-a-half years old! 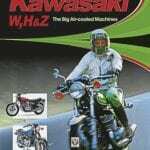 “Some of the first bikes I rode were an original Honda Monkey Bike (they’re worth a fortune now) and a Suzuki AP50, but dad never liked two-strokes,” he said.